Hi many thanks for this interesting article. I’ve been thinking about getting my partner a machine as she enjoys using it to relax in the evening time. She got a really cheap one last time and it lasted next to no time at all. I think you are right that I might as well go for a much more expensive one because surely you get for what you pay for! Wowwy! I about fell out of my chair when I saw the prices of those beautiful machines! I bet they must really pretty much do everything except bake that bread and wash the dishes! 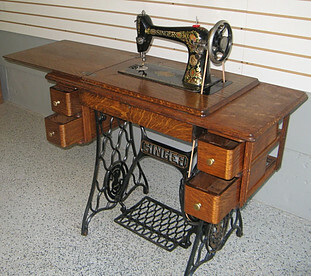 I remember my first sewing machine purchase was a small Singer. Didn’t do any of that fancy embroidery or quilting, just for regular sewing. Was a great little machine though! So nowadays, like those super expensive ones you showed, do they do regular sewing (like creating clothing) as well as the fancy stuff like embroidery and quilting or do you have to get separate machines for those? Ha-ha! Yes, I had the same reaction when I first learned of these high end machines. I observed a demonstration of the Janome Memory Craft 1500 about a year ago. As impressive it was and even if I could afford it I’m not sure I would want one. You can do regular sewing on these but in the grand scheme of things using a machine like this seems like overkill – like driving a Ferrari to the end of your driveway to get mail from your mailbox when a simple bicycle would do! The people who buy these machines are also running a small business doing embroidery or quilting, etc., and need as fast a turn around from design to product and distribution as possible. The high costs of such a high end machine is often offset as a deduction at the end of the year since the machine is also considered a business expense. 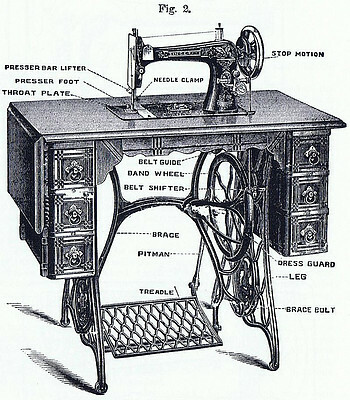 This is an excellent guide for choosing a sewing machine. It is the purpose that decide which sewing machine is going to fulfill the need. 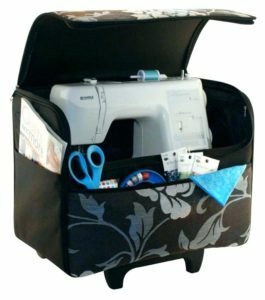 I want a sewing machine for basic use,should be light in weight and portable too. I liked the idea of going to local sewing dealer for test drive.Thanks for writing this informative post. Thank you for stopping by! With so many choices available making a decision like this is difficult – at least it is for me. I am in the market for a new machine and felt there would be others “out there” like me in the same boat. I grew up with the newest model sewing machine my dad bought my mom, and I have had a love of sewing my entire life. Back then I could do a bunch of different stitches and zig zags, and I thought that machine was the bomb! Now, the machines can write out your name in inbroidary and with the computer in them, they can do so much more than I ever thought a sewing machine could do! LOL. I do agree you get what you pay for, and I love the models you displayed. Thanks for the info! I’m glad you enjoyed my article! It’s crazy what these newer machines can do. The next step up is a long arm quilting machine. If you’re not familiar you can go here. The complex and exquisite stitching will turn any quilt into a work of art. 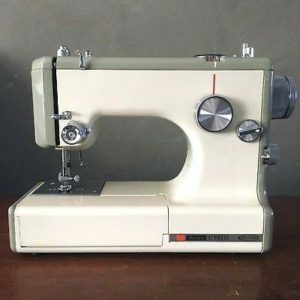 I enjoy sewing, though I don’t do it often… but your article is very interesting, I didn’t realize the high end sewing machines were becoming so impressive with all their features… nor as steep with their price tags! Holy Cow!! I never imagined that one could spend so much on one of those! However, the features they offer make it well worth it! …I will definitely keep that in mind for the next time I buy a sewing machine. No doubt a majority of the cost of those really expensive, high end machines are deducted as a business expense at the end of the year. There is a local fabric store I frequent and they have many of these machines on display. It is mesmerizing to watch these machines do all the embroidery work on their own – no one sitting there doing anything. Talk about productivity! Hello Susan, how are you? I am the kind person that on my 15’s had my first sewing machine that wasn’t eletric, was manualy and pedal like the first pic. I am not to old, just half centure, but this was in other country. I learned how to sewing by myself, because I want so bad to learn how to embroidery, so a lady said to me: “keep practicing until you get it”. Was very hard but I got it in 2 days. Those days, I don’t sewing anymore, because became easy to buy clothes them make them. I didn’t know the havy the machine it is, the better a quality, wow, that’s is very interresting. Based on the prices you showing, (yes, I could buy a car), this make me think that’s sewing machine became a luxury no a need anymore when house wives could implement the economy of they home. Question: Do you think those days, people still buying sewing machiness like 20 years a go? Yes, people are still buying sewing machines and in all price ranges but not so much for garment making. As you stated, clothing that is mass produced and outsourced is much cheaper to buy than make. However, if you want something that is truly original – a garment no one else has, and you want a garment with a perfect fit, then making it yourself is the best way. Hey i really enjoyed this article, it was very informative. I have never sewed in my life so i think it would be pretty hard for me to learn. 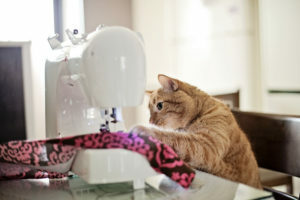 There looks like there is a lot of different kinds of machines, are you good at sewing? If so you could always sew things and put them up for sale on your site. I’m glad you found this article informative! Sewing in and of itself isn’t so hard – sewing a shirt or skirt is much quicker and easier than making a quilt but anything is possible! When it comes to sewing I used to better at it than I am now – I’m kinda relearning after taking a good 25 – 30 year break. My granddaughters keep asking me when I’m going to open an Etsy store. I need to get this website up and running first then maybe I’ll find time to make items to sell!